Grant Munro was one of the pioneers in the animation studio at the NFB. Hired by Norman McLaren right out of art school, he started off in the titles department. His talent was obvious, and he quickly moved his way into animation where he collaborated with some of the other great masters we’re featuring in this series. Munro was in and out of the Film Board, seeking a life and work in places like Mexico and London, before finally returning to settle in Montreal, at the NFB. He enjoyed a long career, retiring in 1988, and was rewarded by being made an Officer of the Order of Canada in 2008. These are just a few of his contributions to our collection. This is a lovely five-minute film from Making Movie History: A Portrait in 61 Parts that really gives you a sense of who Grant Munro was. He talks about the unconventional job interview that got him hired at the Board, about his work in titles, and his relationship with Norman McLaren, all while he plots the trajectory of his career. This holiday classic was the result of the combined effort of 4 filmmakers: Jeff Hale, Norman McLaren, Gerald Potterton, and Grant Munro. That’s some fine company to be in. Personally, I’m partial to the first segment – there’s something about those kids dancing to Jingle Bells that puts a smile on my face every time. The link between (video) games, movies, and violence is something that’s been researched ad nauseum in our society, but back in the 1960s, that wasn’t necessarily the case. Yet in this stop-motion short, Munro looks at just that. Focusing on the war toys given as gifts at Christmas, he makes a profound statement about glamourized violence, long before it was en vogue. I love the campiness of this film, though find its message to be a little conflicting. Granted, it’s clear we’re not supposed to smoke because it’s bad for us… but can smoking help protect us from vampires? Undetermined. In addition to directing duties, Munro also plays the vampire in the film. This film will always hold a special place in my heart, as I played it on repeat for both my kids when they were toddlers. As different as they are, they both adored watching the little boy trying to keep up with all his animal friends. The simple, fluid drawings, the splashes of colour – it’s an exploration of movement and our relationship to the environment that never fails to entertain. Watch: Four Films About Vampires! Much like the mythical creature itself, the popularity of the vampire seems everlasting. 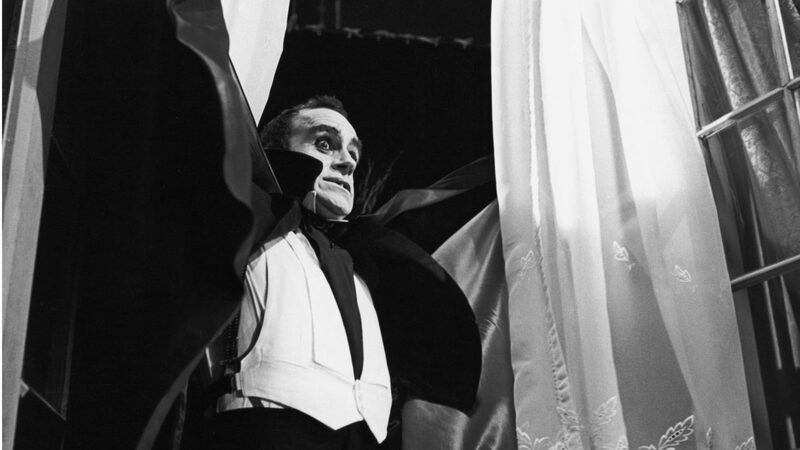 So dip your fangs into four ferocious films about all things vampiric! Last year we created a special playlist of films for the entire family, just in time for the holidays ad we’ve adding several fun films that are great for kids of all ages (including those of us who are still young at heart). The selection of classic titles once again includes charming animation, short live-action fiction and several Christmas-themed films. Turbocharge your willpower to quit smoking with these 5 short films (most of them fairly hilarious and non-preachy) about the perils that lie in the lap of nicotine addiction.